Auraveda White Sage Smudge Spray 120ml More Powerful More Beautiful More Convenient Than Ever Before Can be applied to clothing or object in the home to restore good energy. 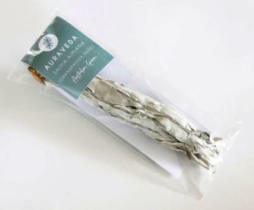 Auraveda Grandfather Sage Smudge Stick - Salvia Alplana The Latin Word Salvia Stems From The Term ''To Heal''. 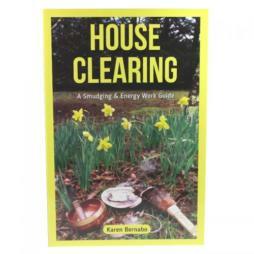 Create Your Own Smudge Ceremony and use Weekly To Enkindle a Feeling Of Calmness & Lightness Of Energy. 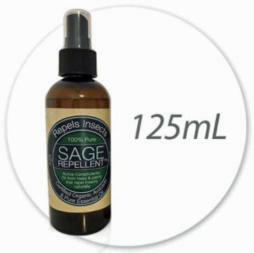 Real White Sage Purification Mist Spray - 10ml. 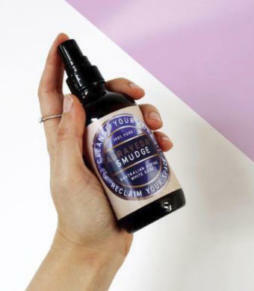 Real White Sage Purification Mist Spray is great for purifying the space you live, work or sleep in when lighting a white sage smudge stick is not possible or while traveling. Also great for cleansing crystals, healing accessories & instruments. You can smell the real salvia apiana (white sage) with every fine mist spray. **contains White Sage extract. No added oils or fragrances. 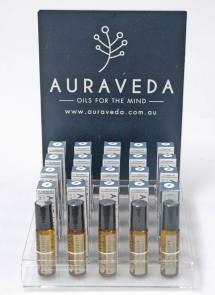 Produced & bottled in Australia from imported ingredients. Real White Sage Purification Mist Spray - 30ml. 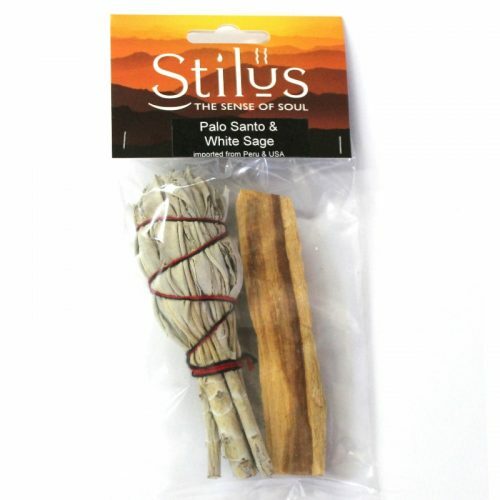 Real White Sage Purification Mist Spray is great for purifying the space you live, work or sleep in when lighting a white sage smudge stick is not possible or while traveling. Also great for cleansing crystals, healing accessories & instruments. You can smell the real salvia apiana (white sage) with every fine mist spray. **contains White Sage extract. 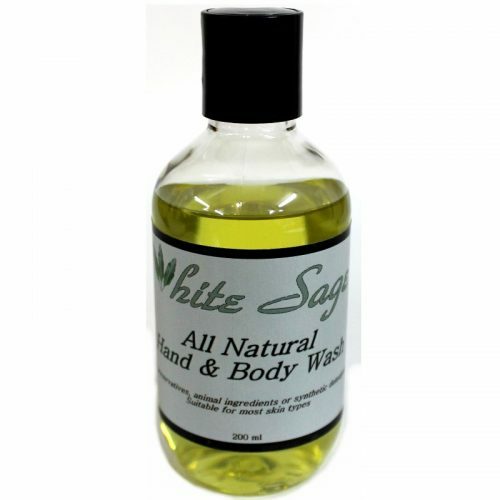 No added oils or fragrances. Produced & bottled in Australia from imported ingredients. 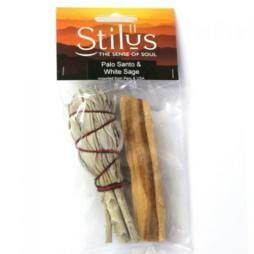 Smudgesticks Stilus White Sage Small And Palo Santo White Sage is traditionaly used by Native Americans & Palo Santo (Holy Wood) by the Incas. 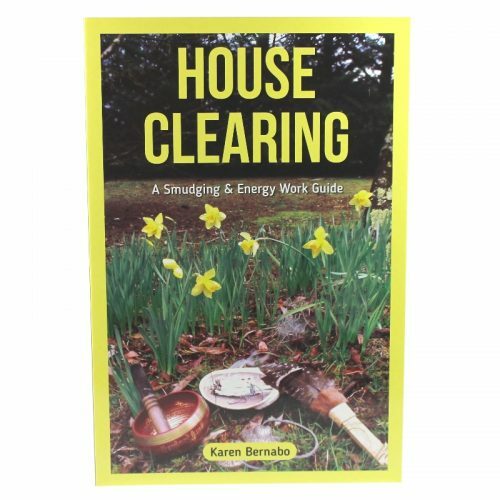 This twin pack is perfect for cleansing any space and one’s self of negative energy to provide clearing, protection, longevity & wisdom. Zodiac Serenity Myst Collection - Virgo VIRGO - Pure Essential Oils of Geranium Rose, Peppermint, Petitgrain, Ti Tree and flower essences of Camelia and Frangipani. Zodiac Serenity Myst Collection - Personal/Room Stray - 100ml bottle - 100% pure and natural. Alchemic blend of pure essential oils and vibrational flower essences to aligh your soul and uplift your Spirit, release stress and tension, nourish your senses to relax with inner serenity. Mountain Water from Crystal Twin Springs at Grail Haven, Mount Tambourine, QLD. Artwork - vivid and bold xpression of colour and energy by Mark Norval, Kimberley artist. 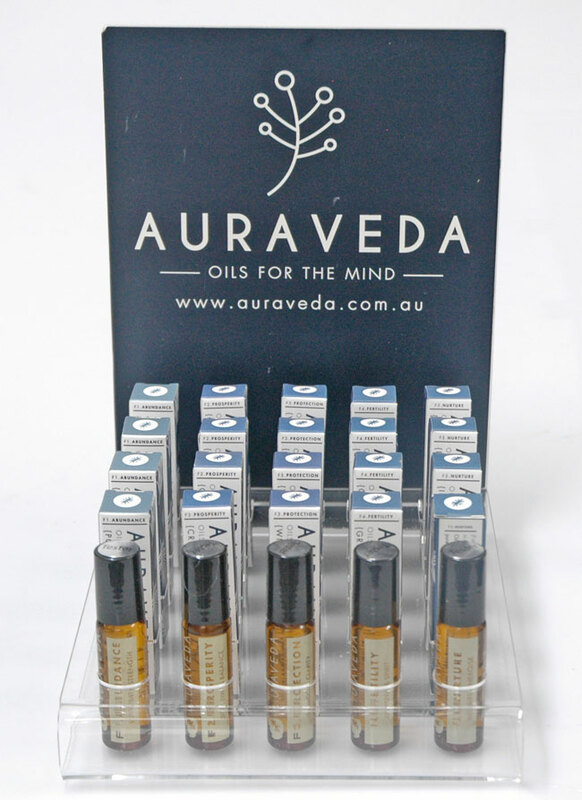 Zodiac Serenity Myst Collection - Taurus TAURUS - Pure Essential Oils of Cedarwood, Cypress, Petitgrain, Tangerine. Flower essences of Fuschia, Luculia. Zodiac Serenity Myst Collection - Personal/Room Stray - 100ml bottle - 100% pure and natural. Alchemic blend of pure essential oils and vibrational flower essences to aligh your soul and uplift your Spirit, release stress and tension, nourish your senses to relax with inner serenity. Mountain Water from Crystal Twin Springs at Grail Haven, Mount Tambourine, QLD. Artwork - vivid and bold xpression of colour and energy by Mark Norval, Kimberley artist. Zodiac Serenity Myst Collection - Scorpio SCORPIO - Pure Essential Oils of Clove, Geranium Rose, Patchouli and Ylang Ylang. Flower essences of Blue Gier and Jasmine. Zodiac Serenity Myst Collection - Personal/Room Stray - 100ml bottle - 100% pure and natural. Alchemic blend of pure essential oils and vibrational flower essences to aligh your soul and uplift your Spirit, release stress and tension, nourish your senses to relax with inner serenity. Mountain Water from Crystal Twin Springs at Grail Haven, Mount Tambourine, QLD. Artwork - vivid and bold xpression of colour and energy by Mark Norval, Kimberley artist. Zodiac Serenity Myst Collection - Sagittarius SAGITTARIUS - Pure Essential Oils of Basil, Cinnamon, Juniper Berry, Lemon and Tea Tree. Flower essences of Crucifix Orchid and Walking Iris. Zodiac Serenity Myst Collection - Personal/Room Stray - 100ml bottle - 100% pure and natural. Alchemic blend of pure essential oils and vibrational flower essences to aligh your soul and uplift your Spirit, release stress and tension, nourish your senses to relax with inner serenity. Mountain Water from Crystal Twin Springs at Grail Haven, Mount Tambourine, QLD. Artwork - vivid and bold xpression of colour and energy by Mark Norval, Kimberley artist. Zodiac Serenity Myst Collection - Libra LIBRA - Pure Essential Oils of Bergamot, Geranium rose, Lavender, and Ylang Ylang. Flower essences of Agapanthus and Luculia. Zodiac Serenity Myst Collection - Personal/Room Stray - 100ml bottle - 100% pure and natural. Alchemic blend of pure essential oils and vibrational flower essences to aligh your soul and uplift your Spirit, release stress and tension, nourish your senses to relax with inner serenity. Mountain Water from Crystal Twin Springs at Grail Haven, Mount Tambourine, QLD. Artwork - vivid and bold xpression of colour and energy by Mark Norval, Kimberley artist. Zodiac Serenity Myst Collection - Leo LEO - Pure Essential Oils of Geranium Rose, Petitgrain, Sweet Orange and Ylang Ylang. Flower essences of Canna Lily and Red Rose. Zodiac Serenity Myst Collection - Personal/Room Stray - 100ml bottle - 100% pure and natural. Alchemic blend of pure essential oils and vibrational flower essences to aligh your soul and uplift your Spirit, release stress and tension, nourish your senses to relax with inner serenity. Mountain Water from Crystal Twin Springs at Grail Haven, Mount Tambourine, QLD. Artwork - vivid and bold xpression of colour and energy by Mark Norval, Kimberley artist.